Taiwan deployed jets and navy vessels after a group of Chinese warships entered the country's air defense identification zone. The aircraft and vessels were deployed to “surveil and control” the passage of the Chinese ships, a government spokesperson said. 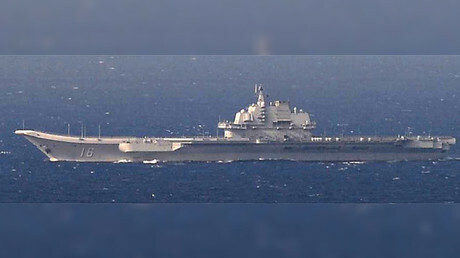 China's Soviet-built ‘Liaoning’ aircraft carrier led warships through the Taiwan Strait on Wednesday, while returning from exercises in the South China Sea. 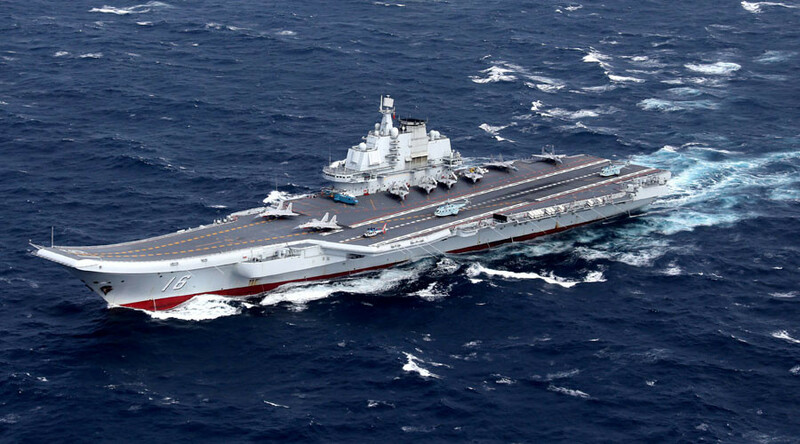 Although Taiwan's Defense Ministry stated that the carrier was not trespassing in the country's territorial waters, it confirmed that it did enter its air defense identification zone (ADIZ) in the southwest. In response, the Taiwanese military quickly deployed jets and navy ships to follow the Chinese boats as they traveled through the narrow body of water which lies between Taiwan and China, Defense Ministry spokesman Chen Chung-chi said, as cited by Reuters. Responding to China’s movements, Taiwan’s top policymaker for China affairs urged Beijing to resume dialogue with Taipei, after official communication channels were shut down by China in June. "I want to emphasize our government has sufficient capability to protect our national security. It's not necessary to overly panic," Chang Hsiao-yueh, minister for Taiwan's Mainland Affairs Council, said during a news briefing. "On the other hand, any threats would not benefit cross-Strait ties," she said. China's Wednesday movements have led many to read the act as a statement that Beijing will back up its territorial claims to Taiwan with military means, if necessary. Meanwhile, China has said that its ‘Liaoning’ aircraft carrier was taking part in drills to test weapons and equipment in the disputed South China Sea, adding that its movements complied with international law. Beijing's naval exercises have unnerved its neighbors in the region – including Taiwan, which China claims as its own – amid long-running territorial wrangles in the South China Sea. China claims most of the waters of the energy-rich disputed waterway, though Brunei, Malaysia, the Philippines, Taiwan, and Vietnam also have claims. Taiwan's scrambling of jets is the latest in an already tense relationship between Beijing and Taipei, and follows recent flare-ups between the two sides. China expressed anger at Taiwan's President Tsai Ing-wen over the weekend, after she made a controversial stopover in the US, meeting with senior Republican lawmakers in Houston, Texas. 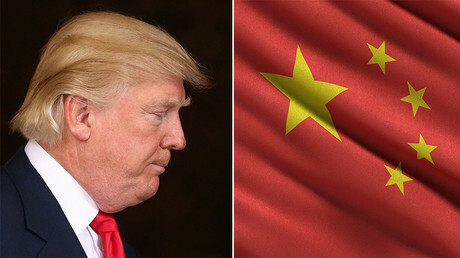 "We firmly oppose leaders of the Taiwan region, on the so-called basis of a transit visit, having any form of contact with US officials and engaging in activities that interfere with and damage China-US relations," Chinese Foreign Ministry spokesman Lu Kang said on Monday, just hours after the meeting. He went on to urge “relevant US officials” to handle the Taiwan situation appropriately to avoid harming US-China relations. China is suspicious of President Tsai, believing she wants to push for the formal independence of the island. It has warned of future turbulence if she fails to endorse Beijing’s view that Taiwan is part of China. Last month, US President-elect Donald Trump found himself in the middle of the dispute, after accepting a congratulatory call from Tsai and questioning Washington’s commitment to Beijing's ‘One China’ policy with Taiwan. China and Taiwan split amid a civil war in 1949. Beijing has never renounced its threat to use force if necessary to prevent the island's permanent independence from the mainland.